Yesterday I shared some alcohol ink abstract panels; today I have more abstract panels but these ones have become backgrounds for dies or stamps. The one above looked so forest-like I had to pair it with trees. 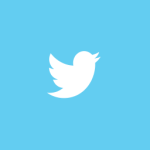 It is a fairly dark mix of colour so I think it must be dusk or dawn. 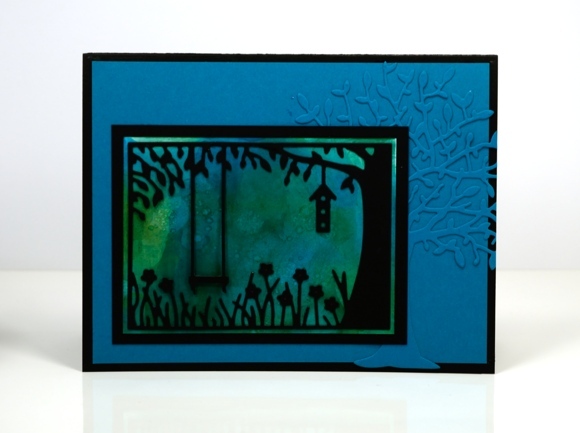 The ‘in the garden’ die was perfect for turning the blue-green panel into a scene and the new ‘serenity’ tree die just added to the woodland feel. The colours in this panel again determined what I would add. 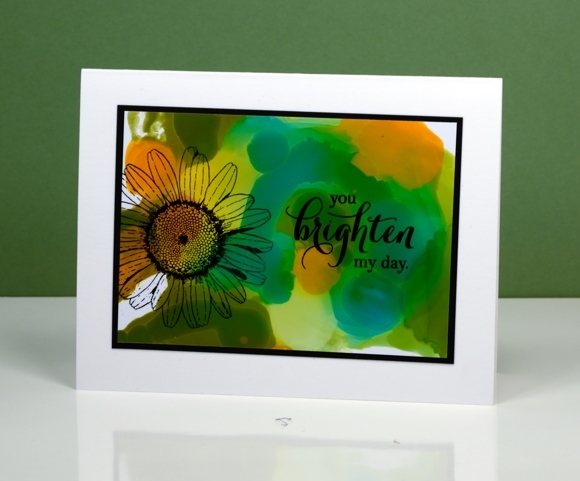 Orange, yellow and green patterns seem an appropriate background for a daisy. I used archival ink which gave a crisp fast drying print. There was another card made from this background but I made the mistake of laying a stamp on top of the panel for positioning before inking the stamp. The natural stickiness of the stamp on the glossy paper lifted the surface off the paper removing the alcohol ink (not in a cool resist type way!). It didn’t happen on the daisy card because I just inked, stamped and hoped for the best.